Everyday eye protection isn't easy to find, so don't bother looking. It has to be cheap and readily available. 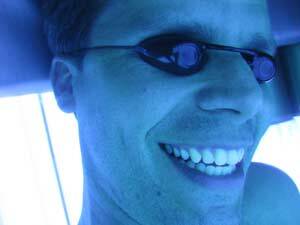 Just snapping on some tanning goggles isn't going to work! They are far too dark for everyday use. Although, I'll admit, they do give a classy "limousine tinted windows" effect to everyday driving. 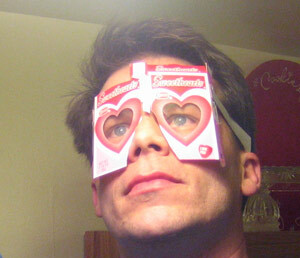 Instead of buying eye protection, I suggest crafting your own. 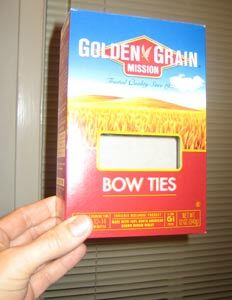 The first step is to find products around your home with cellophane windows in them, such as this box of golden grain bow ties. You'll need two boxes for a super-safe pair of protecto-spex. 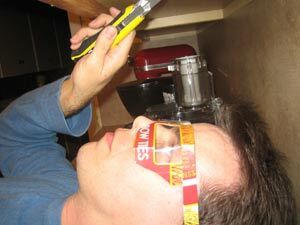 Before beginning any construction project, always protect yourself with some safety goggles. Throw away all the bow ties (weathermen and Apprentice contestants can ignore this step). Cut out the cello window, leaving a chunky frame of the paper package attached. Tape two cello windows side-by-side, and cut out a little nose hole between them, just like on your Halloween pumpkin. Place the windows over your eyes. Now they are lenses! Fold the framed windows back, towards your ears, allowing for useful, but protected peripheral vision. Attach the ear arms. 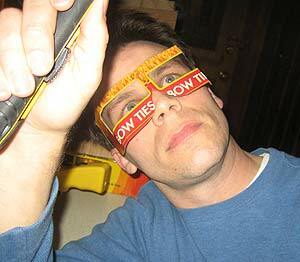 Do not staple them to the lens frames while you are wearing them. Go ahead and whittle above your face! You are splinter-proof! Any package with a cellophane window will work. You probably have something suitable in your trash bin right now. 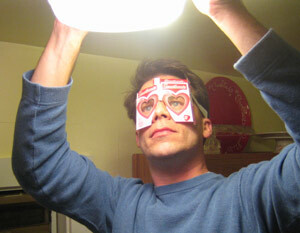 These nifty numbers helped when I needed to protect my eyes while replacing lightbulbs overhead. It seems like these new fluorescent lightbulbs are burning out long before the legend ever did. please continue reading page three of eye protection.